Earlier today, Fiat Chrysler issued a recall for about 467,500 SUVs in order to fix a fuel-pump malfunction that can cause the engine to stall. 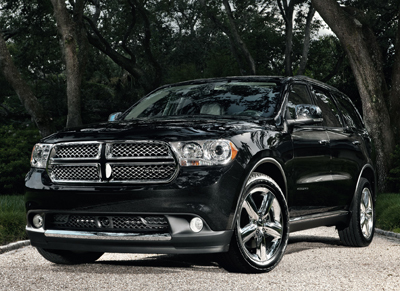 The vehicles affected by the recall include 2012 and 2013 Dodge Durangos and the 2011 diesel Jeep Grand Cherokee. The company says there have been no reported injuries or deaths related to the malfunction. The impacted fuel-pump is located inside of the Totally Integrated Power Module (TIPM), which helps to manage other vehicle functions (including air-bag deployment). Fortunately, the company says that no other function is impacted by the defective fuel-pump relay. This is the 3rd major recall for Fiat Chrysler this year alone. Previously, they were involved with a 200,000+ vehicle recall involving the Cherokee, and a 2 MILLION+ vehicle airbag recall alongside Honda and Toyota. Who knows, with this early start, maybe Fiat Chrysler might even be taking aim at a GM-like recall year. That’ll take a lot of work, though. This entry was posted in Chrysler and tagged Dodge Durango, fiat chrysler, jeep grand cherokee, recall, vehicle, vehicle recall. Bookmark the permalink.